Exhibit booths at construction fairs are mostly utilitarian—but recently we’ve been seeing a spate of well-designed and even playful booths. 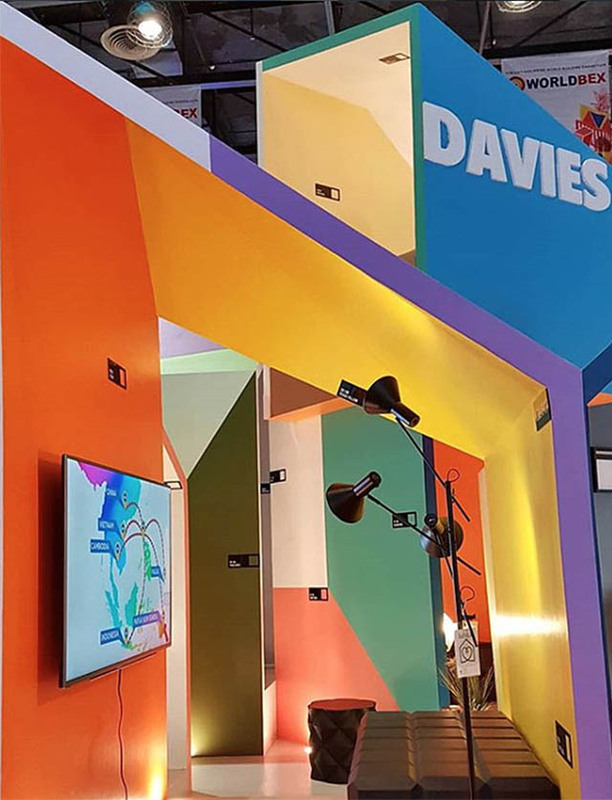 Davies Paints has recently been upping the ante in selfie-friendly exhibits, such as this pop-up “Color Gram” booth that is currently making the rounds in Quezon City. 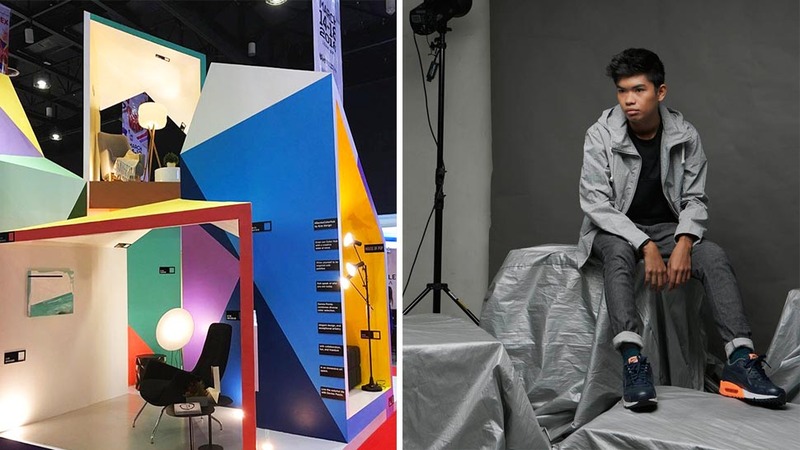 Their latest IG-worthy project is the Color Hub booth at Worldbex 2018. 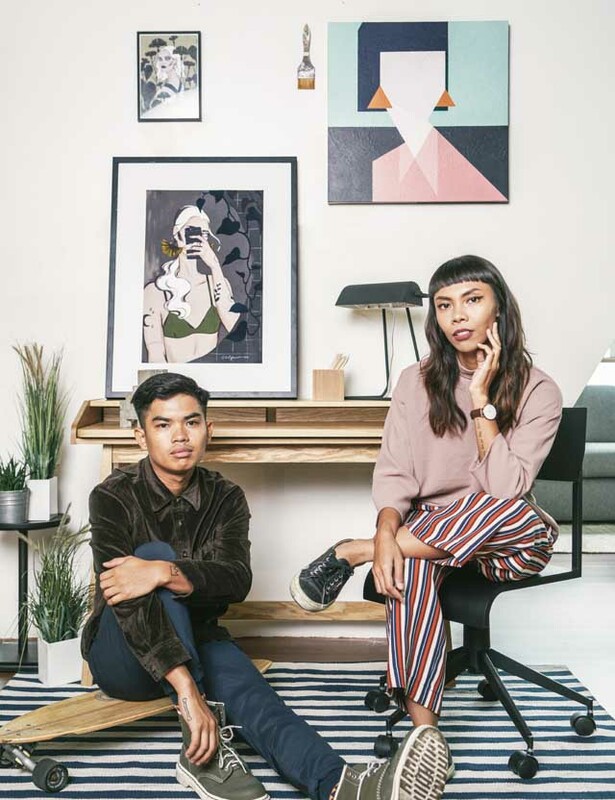 We soon found out that one of Real Living’s 25 Creatives To Watch in 2014 Kris Abrigo who made this larger-than-life work of art. This young artist collaborated with architect and illustrator Lando Cusi on the booth. If you would remember, Kris had already collaborated with furniture company Habitat along with partner Soleil Ignacio for a special collection of paintings and prints (below). 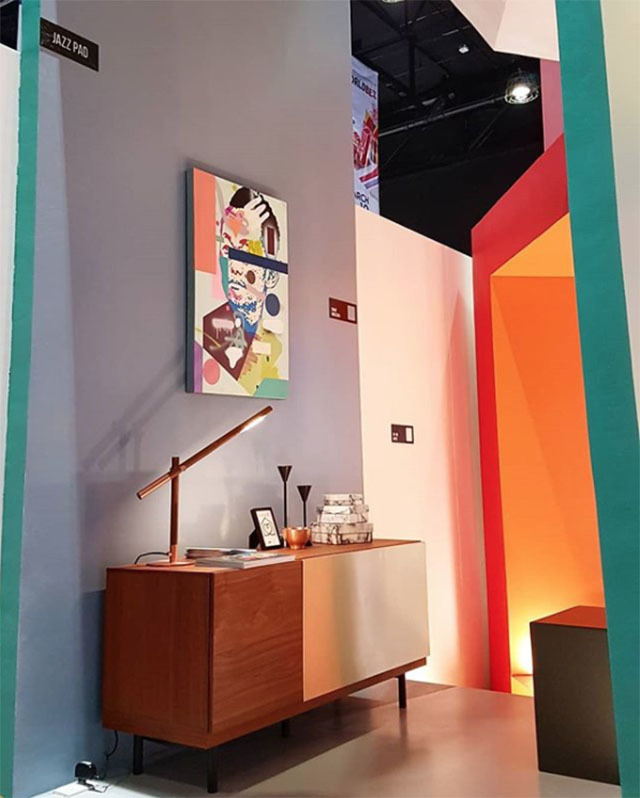 The Color Hub resembles a deconstructed house, with various experiential rooms featuring Kris’s abstract-like color blocking. 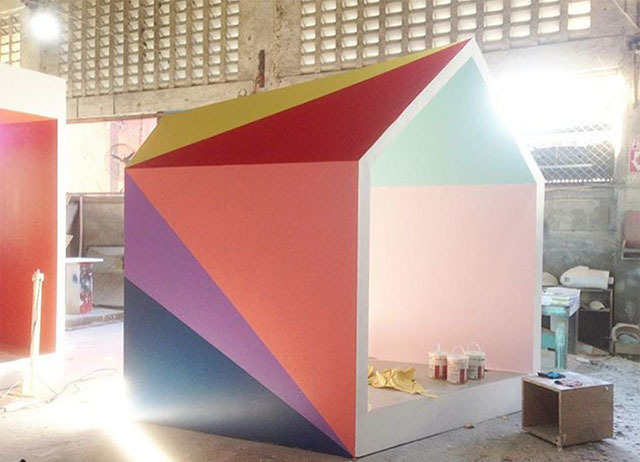 “They wanted to try something fresh and get away from generic booths…so I teamed up with my friend architect Lando Cusi,” the artist explains. “The idea was to showcase the brand’s massive color selection inspired from different eras and lifestyles.” Habitat and Six Inch lent furniture to complete the color spaces. “I played around with the concept of breaking the traditional shape of a house and transform/distort them into each unique space but unifying them with exterior colors that reflect my art style as a muralist.” Kris does a lot of indoor and outdoor murals for the likes of Nike and Heima, and also public murals for various communities. 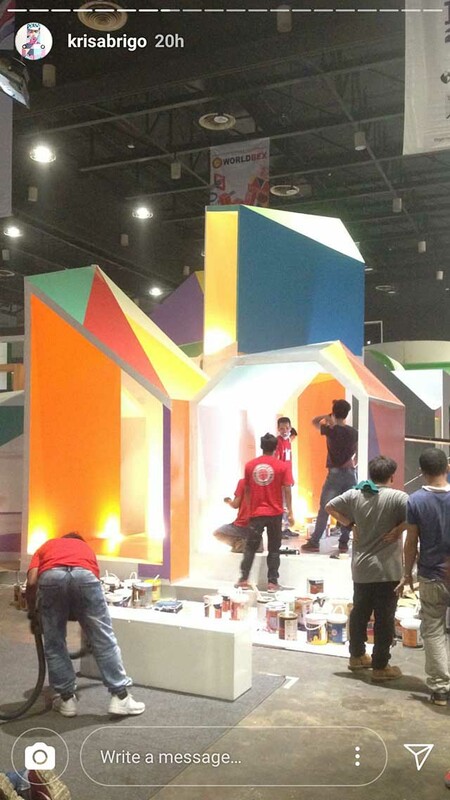 The Color Hub incidentally won Best Booth in Worldbex 2018. Follow Kris on Instagram @krisabrigo and Lando on @landocusi. Catch Worldbex until March 18, 2018 at the World Trade Center, SMX Convention Center, and Philippine Trade Training Center, Pasay City.